Naturally Glam Giveaway - Update! You don’t know about the #NaturallyGlamGiveaway??? You have to get up on this!! 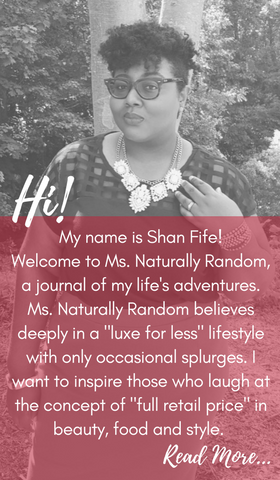 Boutique owner and friend, Tenisha, from GilmoreGlitzandGlam.com, and my blog Naturally Random are full swing into hosting a Holiday Giveaway!! #NaturallyGlamGiveaway This Michael Kors bag could be yours!!!! 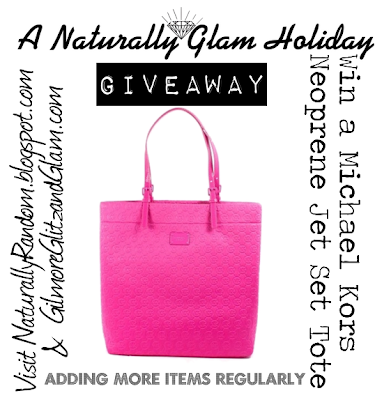 We started the giveaway with a Michael Kors Neoprene Jet Set Tote in Neon Pink. From there, we’ve added a new prize to the bag weekly and will do so until the contest is over. Most recent addition?!! Hmmm...wanna know?! So, stand by to find out what the weekly goodies will be added! Like Us. Follow Us. Tweet Us.